These Mens Silver Spurs are made from the finest materials available. Extraordinary feel, yet are easy to work with and provide maximum comfort for your horse. This Western Spurs are made to last for many years to come and rest assured you are buying superior quality products here at Horse Tack Now. 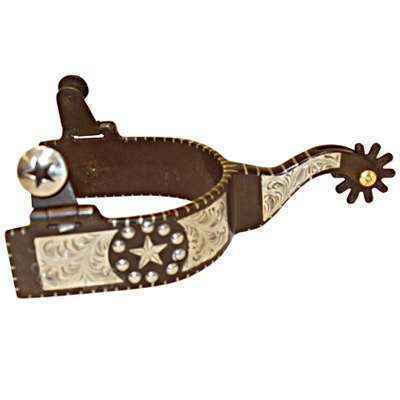 This is a silver engraved mens western spur and features a Texas Star and dots. It is all complimented by a Rowel. They have been designed to be one of the most durable spurs available worldwide.